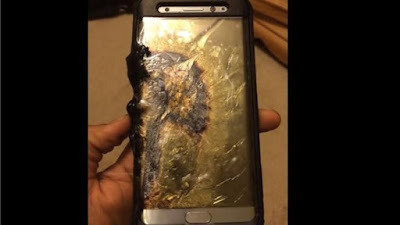 Samsung galaxy note 7 has yet again been in the news for the wrong reasons.An airline flight ban on Samsung's Galaxy Note 7 is spreading fast after reports some phones have caught fire. Carriers in Australia, Asia and Europe put the phone on a prohibited list over the weekend, which comes after the US banned the device last week. Carriers flying to the US inevitably had to follow suit after the Samsung galaxy note 7 recall, but the bans are spreading worldwide. In addition to several flag carriers taking action, Air Berlin, Dragonair and Virgin Australia now have bans. being carried onto the aircraft, in carry-on baggage as well as check-in luggage." Virgin Australia issued a similar announcement, but added that passengers were "strongly advised" not to bring the Note 7 phone to airports. Air Berlin has banned the phones with immediate effect. Larger German rival Lufthansa has a ban on flights to the US, but is reportedly planning to impose the restriction across all flights soon.